Some patients over the years have responded well to some or all of the following components. I cannot say the patients achieved complete recovery from MPS because remaining pain-free requires a lifestyle change rather than a treatment protocol. A number of patients have maintained this change and enjoy relatively “normal” lives. Others found it too difficult to make the necessary shift in realities. Everyone is different and what works for some doesn’t necessarily work for all. The first consideration in any comprehensive approach is nutrition. A balanced diet rich in high quality foods is a necessary starting point. Avoid Fast Foods! Become a familiar face at your local farmer’s market. Try to eat whatever is in season in your region. But even in the best circumstances, foods grown in our nutrient depleted soils will not supply you with everything necessary to confront MPS. Supplementation with high-quality nutritionals in bio-available forms is crucial. 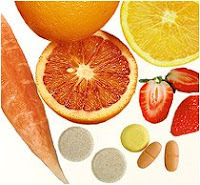 Start with a multi-vitamin/mineral and add in further supplementation as needed. Helpful nutrients include malic acid, magnesium, manganese and the B vitamins. Malic acid seems to help as a transport molecule to move other nutrients to where they are needed. It also helps facilitate the use of oxygen in energy production. Magnesium, in a chelated form, helps reduce pain and feeds the energy production cycle. It also helps with absorption of other nutrients. Since magnesium can also act as a laxative (like “Milk of Magnesia”), it is important to use chelated or double bond forms rather than oxides or sulfates. Manganese, in an amino acid chelated form, assists in transporting vital amino acids into your body for use in rebuilding injured soft tissue with less fibrosis. It also has a beneficial affect on brain function. Manganese is a component of SOD (superoxide dismutase); an important enzyme that acts as an anti-oxidant that helps prevent free radical damage to muscles. Keep in mind, though, that while it is essential for human life, too much manganese can cause toxicity with significant symptoms up to and including death. The B Vitamins, particularly thiamin (B1) and pyridoxine (B6), are useful in neurologi c balance and muscular relaxation. They are also critical factors in energy production. In the absence of B Vitamin metabolism, energy levels are depressed. This is one cause of lethargy and muscle fatigue. I recommend using supplements that are of pharmaceutical grade. These are frequently available through your chiropractor or other non-allopathic health care provider. Avoid supermarket and drug store supplements. These tend to be inferior. Brands I have grown to trust include Metagenics, Anabolic Laboratories and Standard Process. At first glance, these supplements appear to cost more but when you factor in the amount you actually absorb and use, they are the least expensive on the market. The treatment of Myofascial Pain Syndromes requires a holistic approach. Holism is an ancient health care tradition that was largely forgotten in the last century. It recognizes the patient as an entity comprised of physical, mental, emotional and spiritual components. Without encompassing all these, successful treatment is unlikely. In my next post I will address some of these features.